Groundhog Day became an official commemoration in 1887, though the superstition goes back to ancient times in distant ancestral lands. 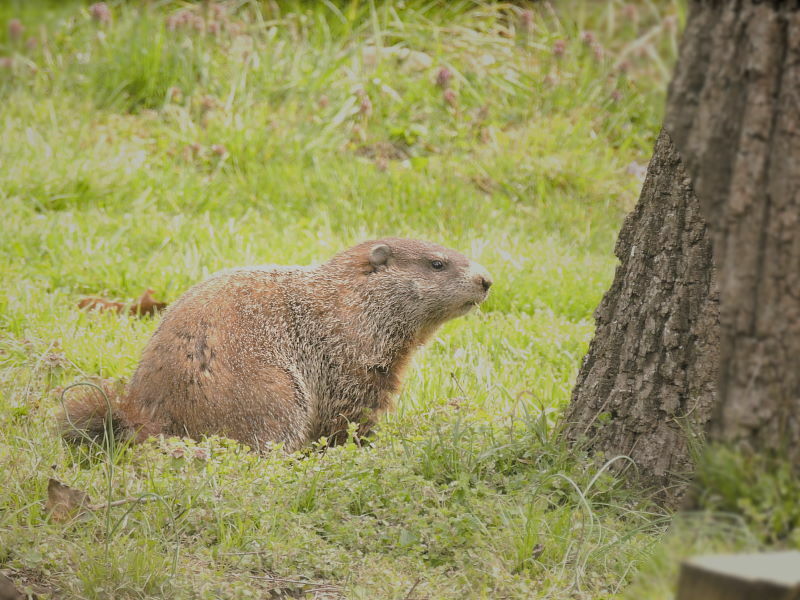 While the tradition remains popular in modern times, studies have found no consistent correlation between a groundhog seeing its shadow or not and the subsequent arrival time of spring-like weather. The 1993 movie promotes the ideas that there are second chances, and third ones, ad. Inf., and that given the chance to do things over again, we could do better. One Champion says that changing things in the past could have unexpected domino effects, so if you are happy with where you are, have no regrets. Buffy St. Marie sings, “Groundhog, groundhog, what makes your back so brown? I been living in the ground so darn long, it’s a wonder I don’t drown, drown, it’s a wonder I don’t drown.” And like our pretty rodent friend we will just wonder at the weather. Those folks at the National Weather Service sure did a good job without pay during our recent shut down. And Champions are want to say that something beautiful can be found here any day of the year. With luck, the twice thwarted archery tournament will occur at the Skyline R-2 School on Saturday, Feb. 2nd with flights on the hour from 8 a.m. until 1 p.m. Skyline archers will be joined by students from Norwood, Mountain Grove, Gainesville and Gasconade. Weather has interfered with the last two of these scheduled events, so the community hopes this one will fly. The 4-H club has a concession stand; the gym is a warm venue; your neighbors will be glad to see you out supporting this wonderful program. One likens archery to the study of music for concentration, precision, and the tangible rewards of diligent practice. Champions have been busy clipping those ‘UPC’ (Universal Product Code) barcodes off the Always Save and Best Choice products. The Box Tops for Education coupons are on all kinds of things—some Reynolds products, some General Mills, some Ziploc and others, as well now as some Nestle products–Nestle Pure Life Water. Having public education subsidized by the big multinational corporations is a boon and, in this political environment, every boon is a good one. There are whole public relations departments within these companies dealing with corporate social responsibility, promoting what they call ‘shared value.’ Up in Michigan, Nestle pays $200.00 for 130 million gallons of water and folks over there in Flint are wanting yet. Probably, someone with a mind to do so can find something hard to say about any big company. An exceptional woman, Exer Hector, said on more than one occasion, “Well, thanks for what little you did do.” One of the nice things about the money that the school gets out of these label-savings programs is that it is not earmarked. The school can spend it where ever it needs to. Another nice thing about these programs is that they give the community and people who do not even have kids in school an additional chance to help out. It is also good to know that there are ‘corporate social responsibility’ standards at least being discussed. Ellie Carson graduated from the 8th grade at Skyline in 2003. Her family moved to this area in 1998. She went on to become a Mountain View Police Officer and Missouri State Park Ranger. She was off-duty on December 28, 2018 when she was struck by a pickup truck as a pedestrian. She was transported by helicopter to Mercy Springfield where she underwent surgeries for a crushed hip socket, a severely lacerated liver, a collapsed lung and broken ribs. She will be unable to work for months to come. A spaghetti dinner benefit is planned for Officer Carson at the Mountain View Community Center on February 16th. Contact the Mountain View Police Department (417-934-2525) for more information and how you might help. 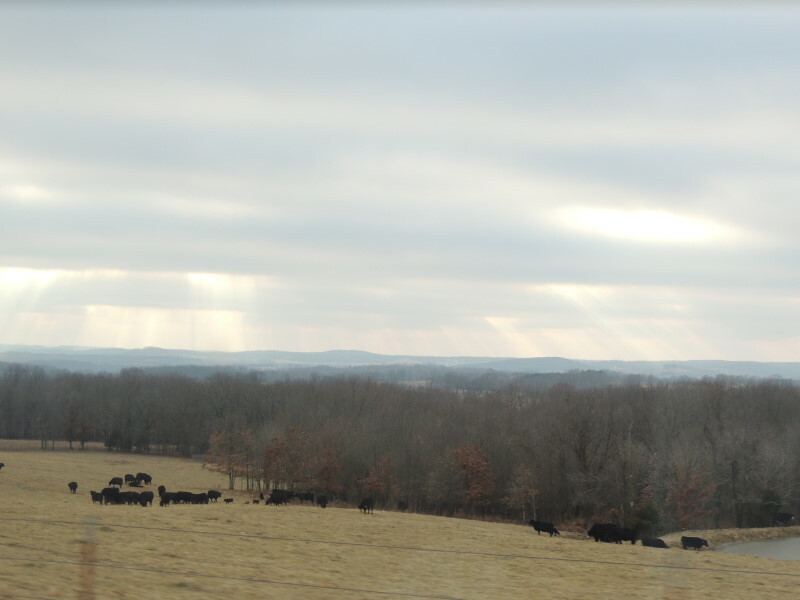 Just across Fox Creek and a forty acre field, a Mr. Cooley will have a birthday on February 1st. He shares the day with Sarah Cloud. Zack Alexander, Champion grandson, will be 13 years old on that day as well. He lives up in Springfield, but spends quality time in this neck of the woods. His aunt Angie celebrates on Groundhog Day, as does Connie Grand who rumor has it will notch up into the next decade. She shares the day with another very talented artist, Charlene Dupre. Charlene is retired now. Her last teaching job was in Norwood, and she spends part of her year here and part in Florida, illustrating that one just thinks she is busy until she retires. The 2nd was also the birthday of a sweet friend, Judith Sharon Parsons. She passed away in late December leaving many with hearts sad but also full of good memories. She too was a skilled artisan and the many works she shared over the years are treasures. If we held a moment of silence for every victim of the Holocaust, we would be silent for eleven and a half years. As we watch the current political turmoil here and in many other places in the world, it is not impossible to believe that fascism could rise again. More than 70 years ago Allied troops liberated the death camps. Who will liberate us if we fall under authoritarian rule? Being thoughtful and informed, compassionate and empathetic while we participate in our democracy might help to prevent those fruitful seeds of distrust from germinating in our great garden of ignorance. Meanwhile Burns Night was splendid with traditional food and drink and many lines of Bobby’s poetry as in, “Who know them best, despise them most.” This part of the world can boast of its Scot’s ancestry. They came here as immigrants, shanghaied indentured servants, or as stolen or sold children in the time of great difficulties there. It seems that there are difficulties everywhere, yet. English, as spoken in Scotland, combines with some Gaelic and local slang for Bobby Nicholson’s song, “It Wasne Me” (It was not me) to lend us an ear to our shared struggles. Enjoy a link to that song at www.championnews.us and know that we have plausible deniability in Champion—Looking on the Bright Side! Always something beautiful in Champion.